Diamonds are every girl’s best friend. If you want to make your wife, friend, sister or mother happy, then give her diamonds and see the wonders. Have you ever heard a quote that says “be unbreakable like a diamond?” If you are saying “yes”, then many of us can think about the firmness of a diamond. This quote is reflecting that you should never break down during a crisis just like a diamond. Diamond is undeniably a beautiful element that can make anyone’s day easily. Whether you want to give it as a “gift” or buy it for “yourself”, it is suitable for both to give and to gain. Women love to adorn themselves and when it comes to the diamonds, then it’s getting really very hard to say no to it. Be it a minimalistic pendant or heavy jewellery, diamond is omnipresent. It is found in every type of jewellery. Buying a diamond is not a joke as it is expensive. It is necessary to make your decision as per the size requirement, appearance and quality. Many of us are not aware of the fact that one should always get their hands only on GIA Certified Diamond in Dubai. There is no point of compromising with its authenticity. Compromising with it is similar to investing your money and doing efforts in vain. You need to make sure that your diamond has been GIA certified. 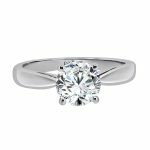 Are you wondering what does GIA certified means and why is it so necessary? If yes, then you’re all the doubts will be dispelled here. GIA certified means that your diamonds are tested and verified by the Gemological Institute of America and they are quite reliable. GIA is an abbreviated form of Gemological Institute of America. Be it for some purpose, or want to include it in jewellery, every individual wants their diamonds to be immaculate and uncompromised. Let’s throw light on the reasons that will surely not let you go for any other diamonds, you will be compelled to choose only GIA certified ones. Lesser risk of purchasing an uncertified diamond:There is no point of buying an uncertified diamond. A certified diamond proves that your diamond has been involved and passed in a gemological laboratory. There are many companies that feel pride in selling only the certified diamonds. In addition to this, such reputable companies have got specialisation in selling IGI or HRD certified diamonds too. Nowadays, many fraud and unauthorized dealers sell the non-certified diamond to the sellers and con them. A non-certified diamond is quite prevalent nowadays, you cannot rely on an expensive diamond that hasn’t involved in testing done by the Gemological Institute of America because you don’t want to invest your money on such thing that doesn’t have much value in the market. You are aware of thing you are acquiring:Buying a GIA certified diamond lets you have something that money doesn’t. Something which cannot be purchased by money and that is “peace of mind”. The cost of getting the diamond tested in a laboratory is irrelevant when you are aware of the fact that the money you are giving for the thing is a complete waste of money. The seller knows about the product, so there is no room for confusion: When you have GIA laboratory certificate in your hands for your diamond, then you don’t need to worry about its authenticity. Seller will be going to explain all the specifications about the product with confidence. There will be no room for any sort of confusion because deep down you are paying for the genuine product. Not giving money for synthetic diamond:With the advancements in technology, refinements are also touching the sky which allows producers to produce synthetic diamonds of a high standard. Nowadays, one can easily find and buy synthetic diamonds. Many reputable companies only sell superior quality and authentic diamond and do not keep synthetic diamonds in their store. Self-reliance in your purchase: Every penny is important so it is necessary to spend it judiciously. The buyers only want to purchase the product only if they know that they are getting the valued product of high quality. Jewellery and diamonds go hand in hand. Confidence is sometimes innate and sometimes comes only after experiencing. GIA certified diamonds give you the confidence to flaunt them. There are many reputable Dubai Diamonds Jewellers who thrive upon rendering the best diamond jewellery to the buyers. If you are thinking about proposing your girlfriend your marriage and for this, you are looking for an engagement ring that looks similar to star from the sky. There are many men who are not aware of the things to consider while looking for the diamond jewellery. Diamonds are a major investment and one cannot overlook the important things while looking for them. Let’s focus on those things that one needs to consider while buying diamonds. Colours: The four Cs stand for colour, clarity, cut and carat. The best diamonds do not come in colours. In contrast to the fancy coloured diamonds are available in the shades of blue, pink and yellow. Diamond shade is categorised by the specialists by diversified gem certification enterprises. Grading is accomplished via eye with the stone lose on a background that possesses white shade. 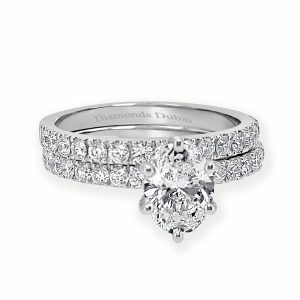 If you are searching for the white diamonds, then prefer D-I range. FL-IF: It means Flawless- internally flawless. The rarest stones do not consist of any inclusions or blemishes. They are not even visible to a trained eye that possesses 10x magnification. These are quite expensive ones. VVSI-VVS 2: Very, very slightly included. Inclusions that are quite daunting to see even by a trained eye under magnification. VSI- VS2: Very slightly included. Inclusions which are difficult to notice under magnification, but when the power is increased then they are visible very slightly. SI1- S12: Inclusions noticeable under 10x magnification. I1- I3: Generally visible to the naked eye. The appearance of the diamond is affected. A VS2 diamond or higher will not consist any inclusions unless you see it with a microscope or a jeweller’s loupe. The lower grades are cheaper in range but are for sure that inclusions brutally affect the charm of a stone to a great extent. Cut: Cut is one of the most integral factors because the cut of the diamond provides scintillation and fire to the stone. Eventually, these things make the stone sparkle and impart prismatic shade. In a well-cut diamond, light enters from the top which is also known “crown” or “table”. Carat: Basically, carat is a unit of measurement. One carat is equivalent to one-fifth of a gram. Fire or scintillation is not determined by carat. If you are thinking that buying diamonds just for carats can let you the best diamond, then you are wrong here. The attractiveness of a diamond depends on the best cut, colour, clarity. A little, well-cut diamond with an efficient colour and clarity will let you have more praise than a larger stone with mediocre colour, cut, and clarity. Many people think that bigger means better, but in reality, it is a common misconception. Always go for the best thing that imparts the best qualities. There is no point of buying a larger stone that shows flaws and inclusions. Before making a purchase, it is also a sensible idea to make a budget so that after buying a stone, you don’t need to worry about your budget. Set a budget so that you will ask the seller about those diamonds that fit within that budget. No one would ever like to face financial instability, especially when shopping for diamonds. You can have the huge stone within your budget, but make sure it is also the clearest, have the best cut, and colourless. One of the best thing about having and wearing diamond jewellery is that it represents our status and class in society. In addition to this, it goes with all types of outfits. If you are carrying a party gown and don’t wear too much jewellery, then simply wear a diamond bracelet and see the magic of simplicity. If you are going on a brunch date and want to wear some jewellery, then you can wear a diamond pendant. You will conquer the world with it. People will not be able to take their eyes from you. It is clear that certified diamonds look beautiful and showcases authenticity also. Add a little more shine to your overall look with the best and verified diamonds.